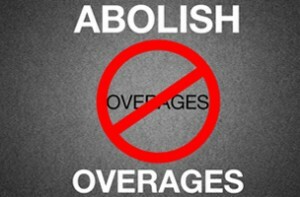 The Un-carrier mobile company, T-mobile, is urging all wireless carriers to end its practice of overage penalties, which costs US consumers as much as $1 billion annually. As T-Mobile CEO and President John Legere points out, the penalties hurts Americans who are least able to afford them. Traditional carriers’ entry-level plans lure customers in with a low monthly fee for a fixed amount of domestic minutes, texts or data. Once consumers go over those limits – even by a little – they’re hit with much higher rates, often dramatically higher. These plans are purpose-built to drive customers over that invisible line into massive overage charges. The result has been a culture of fear, worry and surprise every time the wireless bill arrives. For example, an individual on AT&Ts entry-level plan, advertised at $45 per month, will pay $125 if he uses just the average amount of data for a U.S. smartphone user (1.5 GB per person). Legere even started a petition on Change.org to abolish overage charges. This comes shortly after the European Union voted to remove roaming charges and protect net neutrality. Currently, American carriers are notoriously slow – in fact, the country is second to last when it comes to data speeds. If you happen to live in an area with good T-Mobile coverage, it will offer the fastest data connection, and now no overage fees. Users who go over their data limit will be throttled and given an opportunity to pay for more.